We can help you reduce costs, develop new products, improve quality and reliability, problem-solve, meet specifications and control quality. The Physical Testing Laboratory offers a full range of mechanical testing services to evaluate and certify your materials or components. The Analytical Services Laboratory offers a full range of chemical testing, from simple compound identification, to complete analysis and theoretical formula reconstruction. ARDL is a leading international laboratory dedicated to providing testing, development and problem solving services to all facets of the rubber and plastic industries. 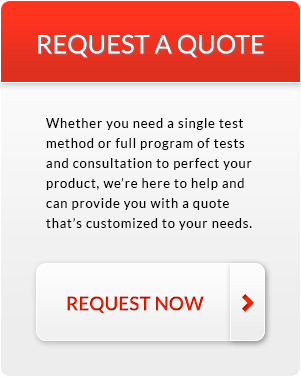 Speak with an Expert - Contact Our Technical Team Today To Assist You! Events: ACS Rubber Division Spring Technical Meeting Table Top Exhibit held April 30th, 2019 - Independence, Ohio.